Unique and custom made to fully protect all sides of your device. Save space in your pockets with a wallet case. Use a photo that you've uploaded on Facebook, Instagram or your PC. Your wallet is redundant with a wallet case. When you go out, do you like carrying as few things as possible? Then a Samsung Galaxy Note 5 case is perfect for you. With a wallet case, carrying around a bulky wallet is unnecessary. In the inner flap of the wallet case, there is plenty of room for credit cards or bills! The magnetic clasp ensures complete protection of the front of your phone and your valuables. If you accidentally drop the phone, everything remain in place and remain scratch free. In addition, we’ve added openings to the case that allow the phone to be fully functional with a case on, so you can easily charge your phone, use your earphones and all buttons on the side! Make it personal and unique! Want to make your wallet more personal? At GoCustomized, you can create wallet cases with your very own personal design and make your case even more personal. 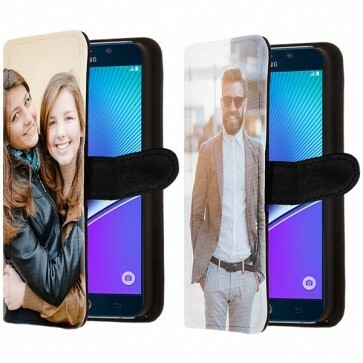 You no longer have to keep a picture of friends or family inside of your wallet, you can now proudly show it for the world to see on the front of your case! With our user-friendly customiser, you can upload all types of photos, whether they’re from your PC, Facebook or Instagram. Do you have a special design that you’re proud of making? Easily upload them, edit them, add any font you would like and get started! 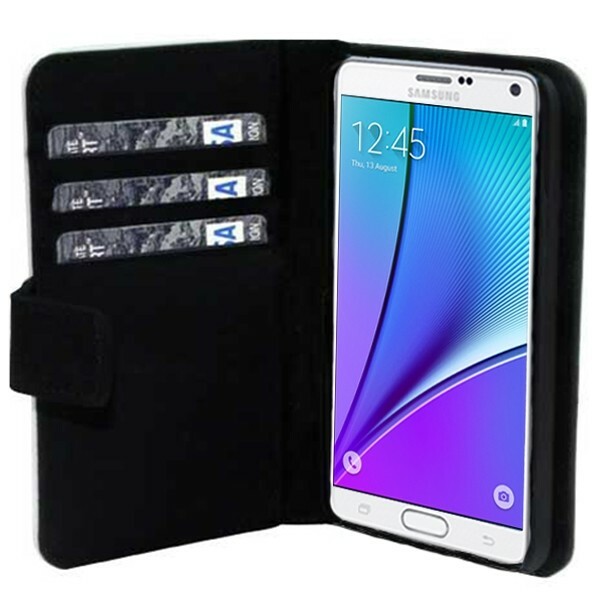 Are you looking for another Galaxy Note case, perhaps for a gift for your friend , such as the Samsung Galaxy Note 4? You can easily order them here! Give your phone a unique look. We can print images on the front of your case using advanced printing techniques and high quality ink! Your Samsung Galaxy Note 5 case will be entirely unique to you. One of our goals is to ensure that your case is different from the others and that you feel proud having a case distinct from the others. If you buy your case today, your case should be produced within 24 hours and you should receive the case within 5-7 business days of the shipping date. Additionally, shipping to the UK is quick and reliable! 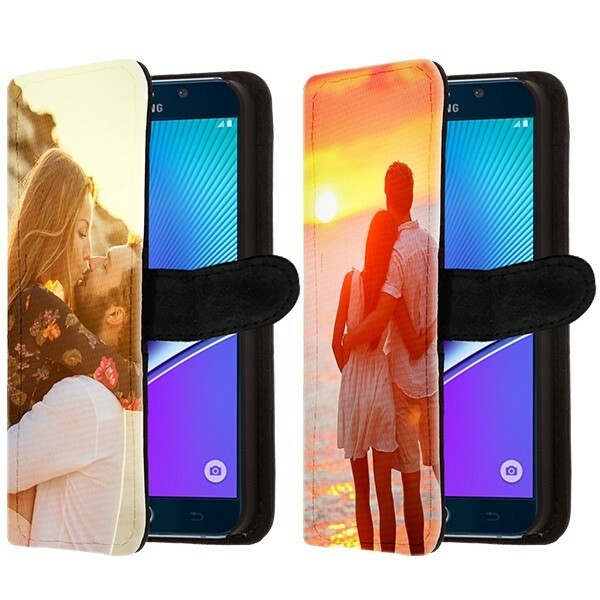 So don’t wait any longer and design your unique Samsung Galaxy Note 5 case today!